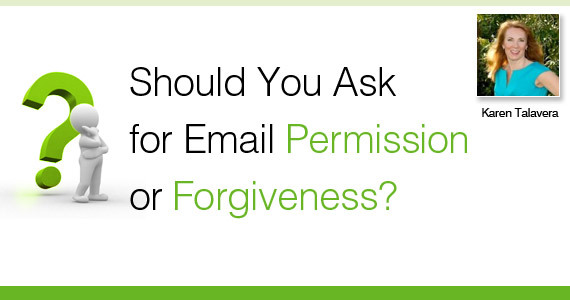 Should You Ask for Email Permission or Forgiveness? You’ve probably heard the familiar saying “It’s better to ask for forgiveness than permission.” All too often I hear from many marketers and business owners who find themselves in this unfortunate position when either just starting their email marketing programs or trying to build their lists. This month’s email marketing conundrum explores the problem of how to begin sending to a “never-been-emailed” list, especially if it contains email addresses that may have been obtained without clear permission or were gathered offline such as from business cards, membership lists you have access to, contest entry forms, prize drawings at events, LinkedIn, etc. I come across many small-to-medium-sized business owners actively collecting email addresses from prospects, networking contacts and clients alike only to seemingly be saving those addresses for a rainy day. Problem is, if you don’t already have an active email marketing program in place, new additions to your list (or those addresses you obtained months if not years ago) can easily go stale precisely because you’re not sending communications on a regular basis. Why do email addresses go bad? People change jobs, move, switch Internet providers, and pass through natural life stages (like graduating college, getting married/divorced or retiring) that correspond to email address changes. Not only can email accounts be abandoned, changed or closed, but permission itself also ages and erodes. People grant permission to receive email from a brand or company and – if they don’t soon after receive an initial message from the marketer – may forget they ever agreed to receive email in the first place. Or, they might be raving fans of your products and services at the outset (think new parents here) but as life goes on and your relevancy to them wanes, their willingness to receive your email does too. If you have a “never-been-emailed” list that may potentially be stale, the first campaign to consider sending to it is a “permission pass.” This is the term for a permission request asking people to either stay on the list or opt-out. Metaphorically speaking, you’re giving those who are no longer interested in your email (or who can’t remember if they ever were) a chance to get off the train before it leaves the station for the first time. Value, value, value! Explain the fantastic (and hopefully exclusive) opportunities they’ll receive by being on your email list. What’s in it for them? Special savings? Exclusive content? Advance access or notice? Lay it on thick but be truthful and get right to the point. Clarity! Tell them exactly what, if anything, they have to do to stay ON your list and what they must do to be removed. 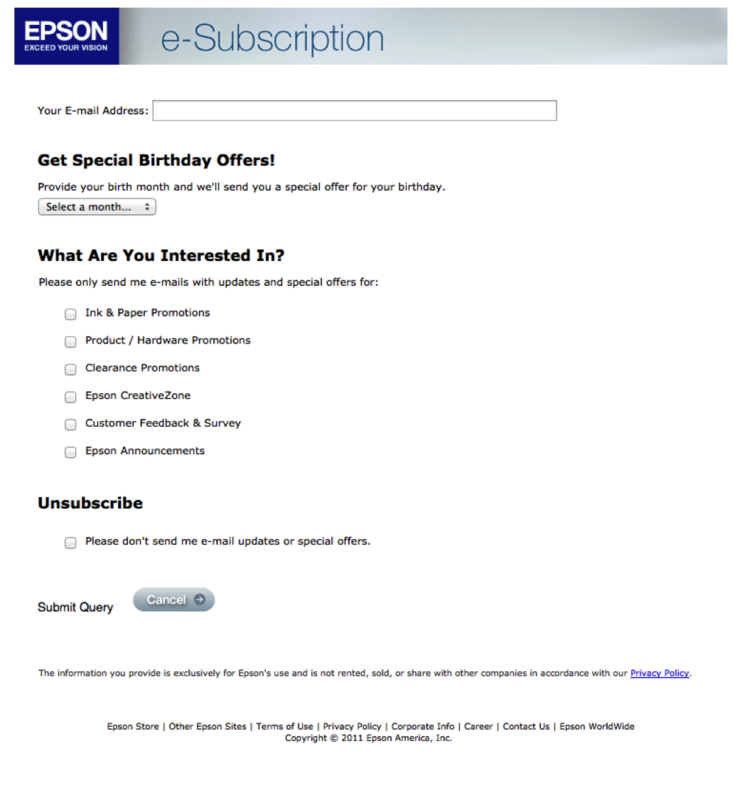 Legally, you’re required to have an Internet-based unsubscribe process present within every marketing email message you send, so of course it should be in your permission pass but you’ll probably need to give it prominent placement rather than relegate it to the usual small print at the bottom. Set and manage expectations. If they are going to stay on your list, let subscribers know what kind of communications and especially what sort of frequency they can expect. Better yet, if you’re launching a rich and diverse email program with many choices, direct subscribers to a sign-up or email preferences center like this to help them make their decisions (check out these programs if you need help). Overselling. It’s not about what’s in it for you; it’s about what’s in it for your subscribers. Make sure you’re writing with their desires and benefits in mind. Acting like you’ve been sending email all along. Make it clear you’re just getting your program(s) going and value your subscribers’ time and attention. It’s fine to be honest. Not removing hard bounces. Some email addresses you mail to will have become undeliverable. Remove them from your list and don’t send to them again. Not monitoring engagement. Some email addresses you send to will be perfectly deliverable, but will be abandoned accounts which may have been taken over by the Internet Service Providers (ISPs) who host them and have turned them into what is known as “spam traps.” Actively monitor engagement from all non-bouncing email addresses over the first six months (less for high-volume senders) of your program. If you see zero opens or clicks from an email address after this monitoring period, consider reaching out to the subscriber offline to confirm permission. 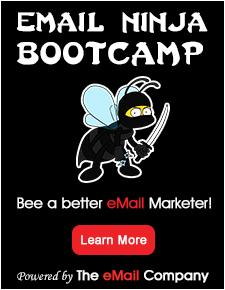 Or, suppress that subscriber from further email unless and until she proactively signs up. Let’s harken back to the original question: is it better to ask for forgiveness than permission in email marketing? While asking for forgiveness may work better than permission when you’re a teen, with email it’s clearly better to ask for permission even if you have to do so after investing in building your list. With commercial email volume still on the rise, scams rampant and inbox owners growing more discerning by the day, nothing – NOT even ultra-relevance – will top permission for getting and staying in the inbox. After all, it’s not just email list subscribers who are more selective about what they allow into the inbox – the ISPs that host those email accounts are the true gatekeepers of which messages are allowed in time and time again. Takeaway: Permission is the key you’ll need to not only ensure that gate is open for you, but to prevent it from being slammed shut permanently.